After I had spent 2 days in Dunedin, the next destination was Oamaru, a small town at east coast. In the blind of an eye, Oamaru was the second last destination in my New Zealand's trip. 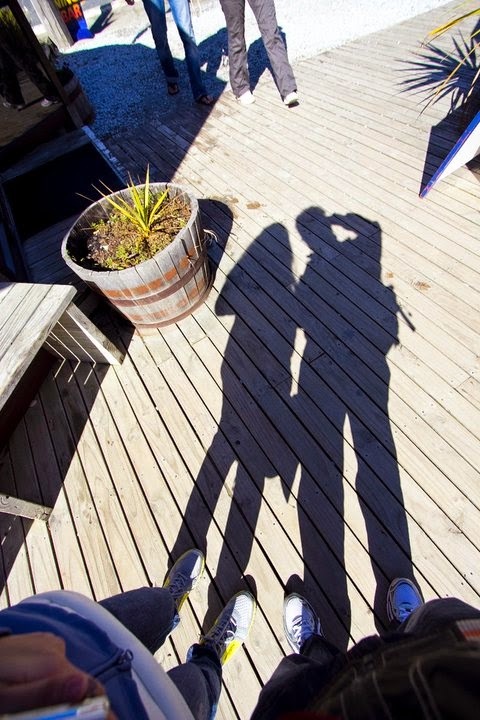 Time flies, almost came to the end of my honeymoon, we were thinking to stop the clock at current time, but just an imagination hahah. From Dunedin to Oamaru, distance is about 112km and took me about one and half hours to reach, in between, we went to visit Moeraki Boulder. There was no much surprise when driving along the way. What I mean is that the scenery of east coast is not so fabulous but peaceful. One of the reasons made me feeling not surprise is due to we had been west coast where the landscapes are really attractive and fabulous, where east coast can not compete with west coast, in my opinion (This is my own opinion, may wrong as I had not been all sceneries at east coast). 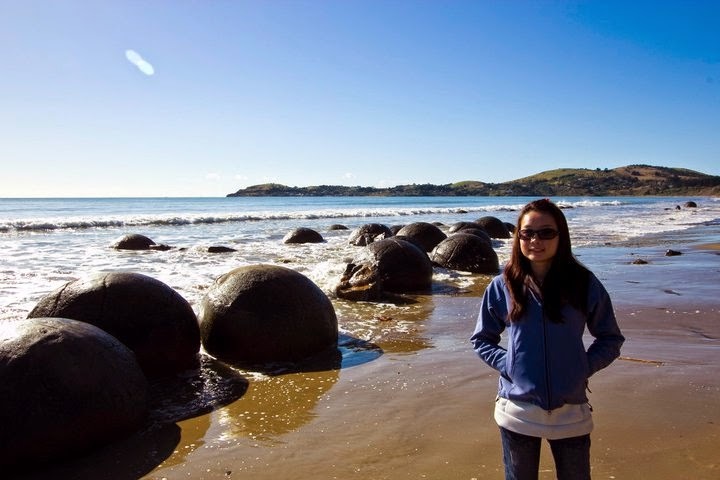 In between Dunedin and Oamaru, there is a wonder at Moeraki beach where many boulders with tons at beach, giving another view of beautiful beach. 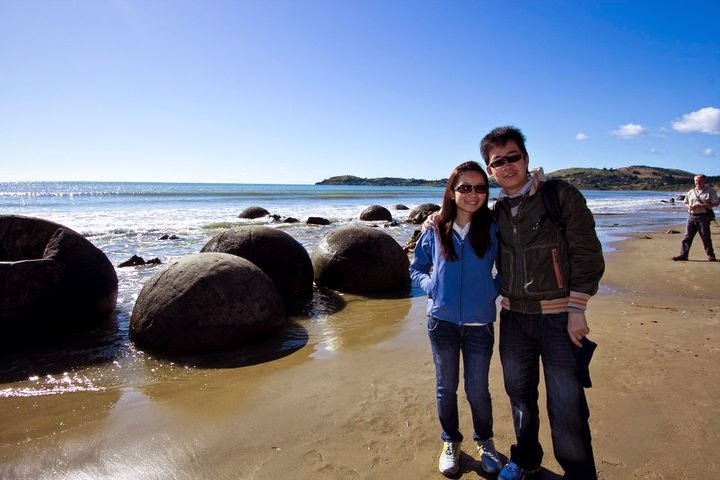 Before we reached the center city of Oamaru, we went to visit Moeraki Boulder located right before Oamaru city. 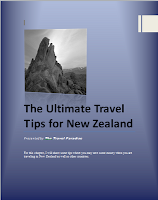 The distance from Dunedin to Moeraki Boulder is about 80km. However, the time we reached there was not a good time for photography, was about 2pm. The day was a windy day and sunshine was quite strong. We parked our car just in front of the café and gift shop. There is a small path to go down to the beach and reach the boulder, I don’t know was the path built by the café or not as there is a small box for tourist to put in cash as an entrance fee, is about NZ$1 or 2 per person if not mistaken. It is all up to you to put cash into the box, voluntarily. From the café, just few minutes you can see the boulders and reach them. I brought along my camera and tripod over there, reach there and set my camera setting and steady up my tripod. Unfortunately, I found that I was unable to capture the long exposure image as the sand was soft causing my tripod could not stand steady enough when the wave smacked on it causing my camera shacked. I spent about half and hour to enjoy the atmosphere and take pictures. There are not many tourists visiting there at the time. Some of the western visitors were very cute, they took pictures with the boulders with funny and creative poses. 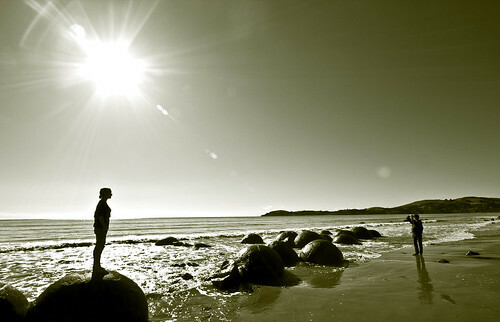 The best time for photography at Moeraki Boulder, I think is in the early morning (sunrise) and evening (before sunset). A small tip here, as the beach sand is soft and sticky, please either walks without shoe or with slippers. Don’t even think about wearing sport shoes, otherwise you have to wash it later on. In the next article, I will continue to write about my trip to Oamaru, will talk about where to see the penguin and sea lion with free-of- charge.